Like the Old Smithy, 2 Plumbs Cottages had been purchased by the Council but left to decline. 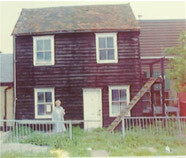 In the mid 1990s the Borough Council indicated to the Society that a lease would be available on the Cottage provided the restoration was undertaken by the Society. Fund raising began in earnest and with the help of substantial Heritage Lottery Funding and funds granted by Cory Environmental Trust and the Borough Council, alongside the many donations from local people and visitors the work began. 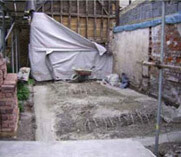 Unfortunately though it was too late for the Cottage and upon the builders T Mann Ltd commencing work the rotten nature of the construction was revealed and the building collapsed. 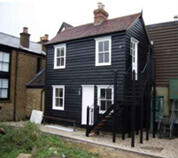 So a restoration project turned into a rebuilding project and planning permission had to be sought which inevitably lead to delays but once that hurdle was over work moved on apace until in May 2007 the Cottage was finished both inside and out and can now be visited, free of charge. The original cottage was built in the mid 1850s and the internal refurbishment has recreated that period for the visitor with all the sights, smells and noises of a busy fisherman’s cottage and village. 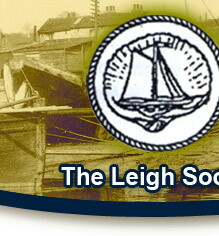 The grand opening in May 2007 was very well attended, particularly by descendants of the last family to live in the cottage, the Burders – it was wonderful for them and us to see something so characteristic and symbolic of Old Leigh come back to life. Today Plumbs Cottage has given the Heritage Centre and the centre of Old Leigh a new lease of life and our thanks go to all who had a hand in the project.